VROOMIX 2K19 is 2ndNational Level Technical Symposium conducted by Department of Automobile Engineering in SSM Institute of Engineering and Technology, Dindigul on 6th March 2019. We intend to bring out the scintillating skills of the budding engineers in terms of spirit and competent. A Symposium is an Independent thing where everyone is passionate, when passion becomes need it brings out perfection. And we need the passion of young India to be brought out. Technical events like Auto quiz, Paper presentation, CNC simulation, CAD-er., Mr. Mechanic, Mr. Advertiser &Non-Technical events like Short Film, PUBG Mobile, Mr.Sketcher, Treasure Hunt and Motography to stimulate students creativity, gain knowledge and improve them as a Team member. Automobile Engineering is a branch of engineering which deals with designing, manufacturing and operating automobiles like motorcycles, buses, trucks, etc., and its subsystems. Automobile Engineering incorporates mechanical, electrical, electronic, software & safety elements and this sector always need experts in vehicle designing, manufacturing and servicing. Keep this in mind, SSMIET took a plunge into this challenging field of Automobile Engineering and established the Department of Automobile Engineering in 2011. 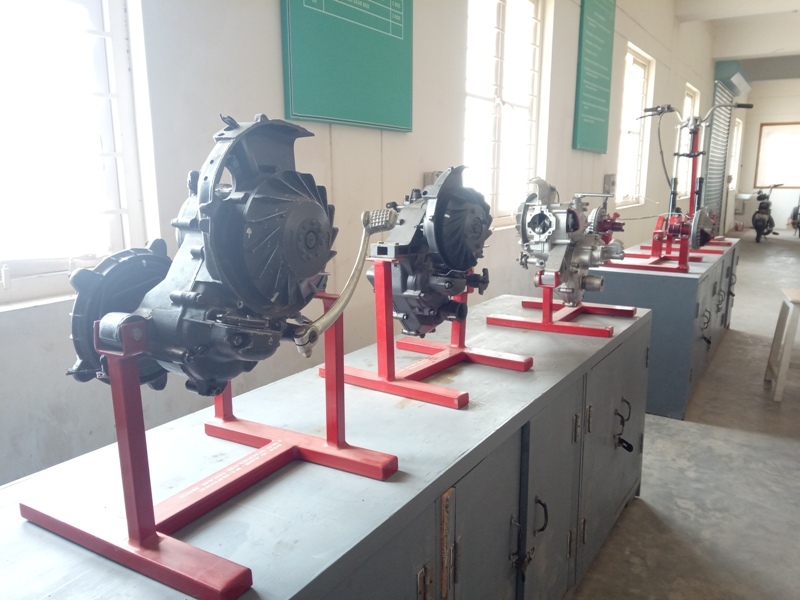 It offers B.E., Automobile Engineering course under UG program with an annual intake of 60 students. The objective of Automobile Engineering program is to nurture the students with creativity, research orientation and finest qualities in order to excel in this domain. 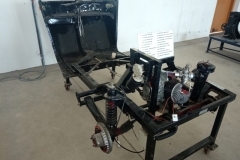 The academic activities are so planned in a way to accelerate the understanding of fundamental principles and provide a broad exposure in the design, development and testing of automobiles to the students. This program train the students well aware with latest technological developments, challenges and diverse needs of the various areas of automobile industry through good practical study, industrial exposure and industry based value added courses. 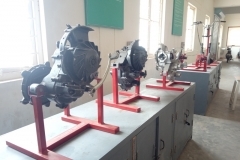 The department has well equipped class rooms and laboratories like Vehicle Maintenance and Repair lab, Automotive Components Lab, Two and Three Wheeler Lab, CAD & CAE Lab, Automotive Fuel and Lubricants Lab, Engine Performance and Emission Testing Lab, Automotive Electrical and Electronics Lab to cater the needs of the students. The department has the 9 faculty members qualified from renowned academic institutes and also from industries background. Automobile Engineering students at SSMIET are exposed to work with the industries as an internship activity during the course and regular industrial visits to renowned industries like TAFE, TOYOTA, etc., is one of the key activities of this department. Apart from academic activity, the department frequently brings the industry and academic experts through SAE to deliver the special lectures on emerging trends, challenges and needs in automotive sectors to the students. The department always encourage and guide the students to participate in national level competitions organized by SAE, ISIE, ISNEE etc., The Automobile Engineering Association & SAE-SSMIET Club is consistently conducting various activities like Vehicle Safety Riding programme, Traffic Awareness programme, Vehicle Maintenance and Servicing programmes, Fuel Injector Pump Calibration Programme, Design and Fabrication of ATV, Go-Kart, Solar Bike vehicle Programme etc. PEO 1 Creativity: Apply concepts of automobile engineering to create and analyze the different automotive system. PEO 2 Rapid Prototyping:Develop integrated process and product development technologies to address specific needs of performance, comfort, safety and eco-friendliness. PEO 3 Tool knowledge: Apply computational tools for comprehensive understanding of the complex systems in automotive engineering. PEO 4 Eco-social friendly:Engage in lifelong learning for career and professional growth with ethical concern for society and the environment. PSO1:Using a multiple skill set as artistic, creative, technical knowledge, effective planner, precision, meticulous, puntual and systematic to design and manufauture the automotives with eco-friendly. PSO2:Applying mechanical, thermodynamic, pneumatic, hydraulic and electrical principles to resolving problems and find appropriate solutions. Our Automobile Engineering Department was incepted in the year 2011 with a sanctioned intake of 60 in under graduation. Now, the department is supported by well qualified, deserving faculty members and technical staff members who have passion to learn, do research and guide students. The objective of this B. Tech program in Automobile Engineering is to give students a broad exposure in the design, development and testing of automobiles. Furthermore, the program trains them to meet the technological challenges and diverse needs of the industry and society in various areas of automobile engineering and equips them to excel in a truly competitive industry. 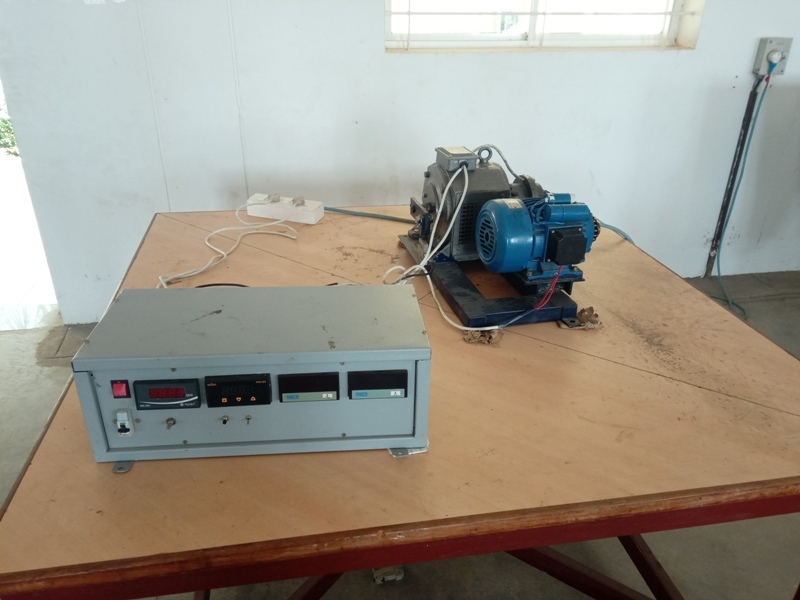 To introduce the testing procedure for electrical and electronics system in automobile. As the world is moving towards Electronics, Automobile Engineering Students should be well versed in the field of Electronics. Ability to rectify and faults in electrical and electronics systems and maintain the same. To train the structures in identifying the fault and rectification. To make the students to undergo field work by maintaining and reconditioning the vehicle by themselves. 1 Engine Analyzer 1 No. 2 Cylinder compression pressure gauge 1 No. 3 Vacuum gauge 1 No. 4 Spark plug cleaner and tester 1 No. 6 Wheel alignment apparatus 1 No. 7 Gas welding equipment 1 No. 8 Tyre remover 1 No. 9 Bearing puller 1 No. 10 Head light alignment gauge 1 No. 11 Service manuals of petrol, diesel engines 1 No. 12 Cylinder reboring machine 1 No. 13 Valve grinding machine 1 No. 14 Fuel injection calibration test bench with nozzle tester 1 No. To train the Students to know the details of different components, dismantling and assembling them. 1 Multi Cylinder Petrol Engine 2 No. 2 Multi Cylinder Diesel Engine 2 No. 3 Petrol and Diesel fuel systems 2 No. 4 Heavy duty vehicle chassis frame 1 No. 5 Light duty vehicle chassis frame 1 No. 6 Front axle 2 No. 7 Rear axle 2 No. 9 Clutch and Gear box (light duty, heavy duty) 2 No. 10 Steering systems with different gearboxes 2 No. 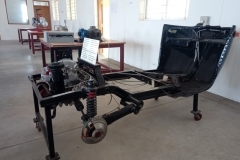 Ability to assemble the engine components and conduct performance test on two and three wheelers. 1 Two wheeler chassis dynamometer 1 No. 2 Coil spring test rig 1 No. 3 Chain tension test rig 1 No. 4 Shock absorber test rig 1 No. 5 Two-wheeler gearbox 2 Nos. 6 Two-wheeler clutch 2 Nos. 7 Three-wheeler brake assembly 2 Nos. 8 Three-wheeler steering assembly 2 Nos. 9 Three-wheeler gear box 2 Nos. To study the characteristics of the fuels and Lubricants used in automobile. 1 Flash and fire point apparatus (for petrol) 1 No. 2 Aniline point Apparatus 1 No. 3 Reid vapor pressure test Apparatus 1 No. 4 Bomb and Gas Calorimeters 1 No. 5 Carbon Residue Test Apparatus 1 No. 6 Copper Strip Corrosion Test Apparatus 1 No. 7 Cloud and Pour point Apparatus 1 No. 8 Redwood Viscometer 1 No. 9 Saybolt Viscometer 1 No. 10 ASTM distillation test Apparatus 1 No. 11 Ash content Test Apparatus 1 No. 12 Drop point and penetration Apparatus for grease 1 No. To develop skill to use software to create 2D and 3D models. 1 Intel I3 Processor with 4 GB RAM 30 Nos. 2 Licensed AUTOCADD 15 Nos. 3 Licensed SOLIDWORKS 5 Nos. To conduct performance test and emission test on the IC engines. 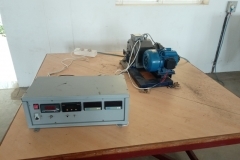 Ability to control the emission and use of different equipments to conduct performance test. 1 Hydraulic dynamometer 1 No. 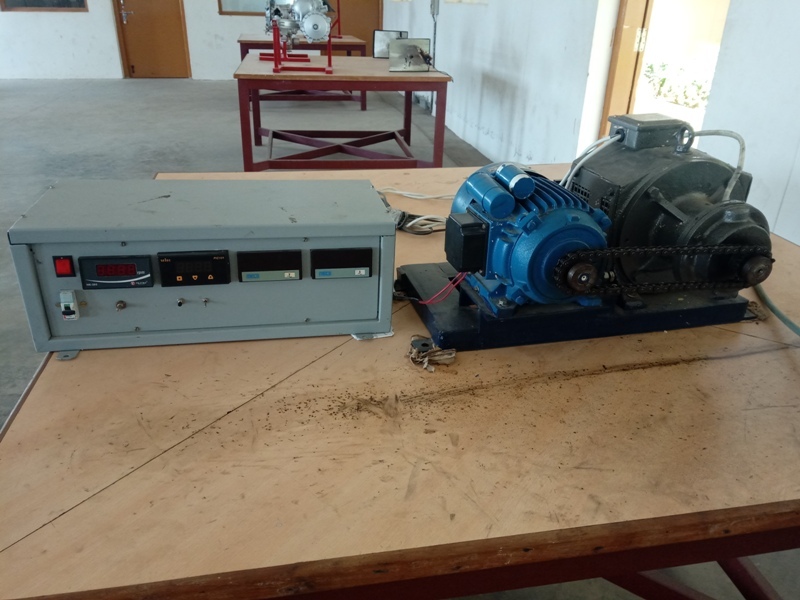 2 Eddy current dynamometer 1 No. 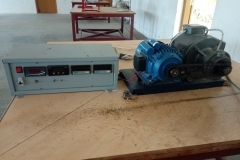 3 Electrical dynamometer 1 No. 4 Single cylinder two stroke cut section engine 1 No. 5 Single cylinder four stroke cut section engine 1 No. 6 Two-wheeler engine test 1 No. 9 Emission Measuring Instruments for Petrol & Diesel Engines 1 No. 10 Five gas Analyzer 1 No. 51 07.03.2017 E.Vignesh Raj, A.Rojer Ragul and M.Vivek 3rd year students participated in the one day national level seminar program on “Bio-Diesel as Alternative & Emission Characteristics” M.Kumarasamy College of Engineering, Karur. 50 02.03.2017 V.Sundraraj, B.Seenivasan, M.Rajkumar, R.Balakumaran, V.Soorya, J.Hubert are participated and achieved “Best Innovation award” in 80cc mini-bike category in the event AUTOFEST-2017. KarpagaVinayaga College of Engineering and Technology, Madurantagam..
49 02.03.2017 P.VinothArumugam , M.Pandeeswaran, T.Gul Deepak, P.Jegan, G.Diwakar, J.Jeevanantham 2nd year students were participated and won 1st prize in e-bike and solar bike categoryin the event AUTOFEST-2017 KarpagaVinayaga College of Engineering and Technology, Madurantagam..
48 17.02.2017 3rd year students visited “Hero Motor-Corp”. PalaniappaMotors,Dindigul. 47 10.02.2017 2nd year students participated in “ TECH-Expo 2017” Confederation of Indian Industry, Fortune Pandiyan Hotel, Madurai. 46 03.02.2017 3rd year students visited the “Yamaha Service School” Community college, Gandhigram Rural Institute, Gandhigram, Dindigul. 45 25.12.2016 3rd year students (Team Scintillators) started their Formula-1 Motor car project to participate in the national level event “Formula Green Motor Championship” conducted by Indian Society of New Era Engineers. Coimbatore. 44 23.12.2016 2nd year and 3rd year students (Team PropellerzV2.0) started their Electric and Solar car project to participate in the national level event “ESVC 2k17” conducted by Imperial Society of Automotive Engineers. Andhra Pradesh. 43 22.12.2016 2nd year and 3rd year students were participated in the various streamlined NPTEL online certification courses. SSMIET, Dindigul. e-Bike” World Youth Federation, Anna University Chennai. 41 08.10.2016 2nd year and 3rd year students participated in the state level project expo for “ Dr.Kalam Young Achiever Award” conducted by World Youth Federation. SSMIET, Dindigul. 40 29.09.2016 3rd year students participated in the one day work shop “Engine Testing & Emission Measurements”. Tamilnadu College of Engineering, Coimbatore. 39 23.09.2016 2nd and 3rd year students participated in the mini bike event “RIDE 16” and secured 2nd position in the e-Bike category. SAE India and Karpagam college of engineering, Coimbatore. 38 03.09.2016 Final year students attended the seminar of “Vehicle dynamics and Automotive System Training program“ Mr.Kabilan, Car labs-Madurai. 37 24.08.2016 To 02.09.2016 Final year students belongs to department of automobile engineering attended the one week aptitude & soft skills training program. Smart Technologies, Banglore. 36 24.08.2016 Final year students attended the seminar program “Essential Qualities required to Hire” Mr.M.Lakhsmanan, Chief operating officer, Kavin Engineering and Services, Coimbatore. 32 22.07.2016 3rd year and final year students attended the software demo on “CATIA, Pro-E, CAD software”. CAD solutions, SSMIET. 31 21.07.2016 2nd, 3rd and final year students were attended the workshop on “How To Ride Safe on Two-Wheelers” HERO Motor corp, chief Engineers. 30 19.07.2016 Final year and 3rd year students attended the One-day International workshop on “Motor Sports Engineering”. Kumaraguru College of Engineering & Technology, Coimbatore. 28 09.07.2016 Final year students attended the pre-placement training program. Mr.Kannan, HR department, TVS rubbers and Tyres, Madurai. 27 20.06.2016 To 24.06.2016 Final year automobile students attended the “CATIA- Software Training Program” Mr.P.Rajesh, Mr.S.Mohanasundaram. 24.06.2016 Final year students attended the program “Effective Communication Skill Development”. 23 22.03.2016 Won “BEST SELFIE award” & “BEST APPRECIATION award” in the national level “Electric Solar Vehicle competition 2016” Imperial Society of Innovative Engineers at Bhopal. 16.10.2015 Final year students participated in “Skill Enhancement Program” Renault Nissan & Centre of University of Industrial Collaboration,Annauniversity,Chennai. Madras Motor Race Track, Chennai. 11.07.2015 Final year students participated in the Video-seminar on “Vehicle dynamics” Dr.Thomas Gillespie, Retd-Professor, IIT-Madras. 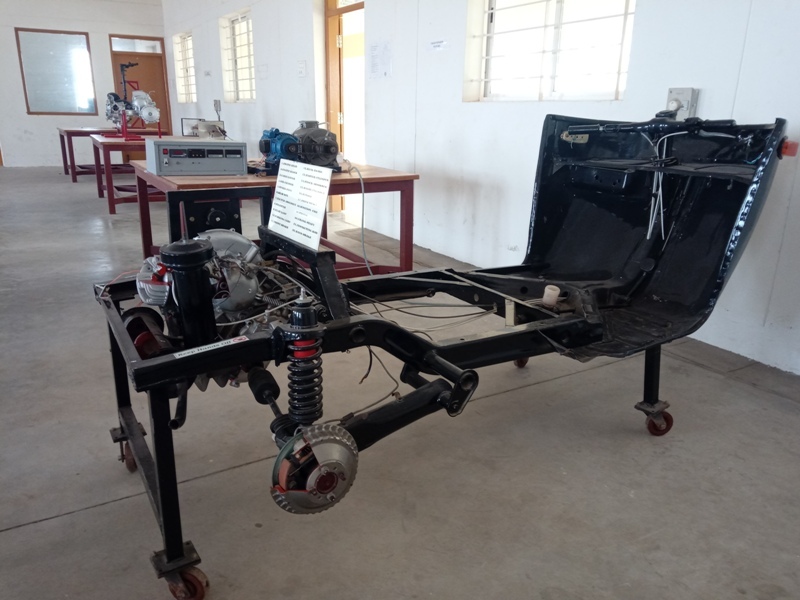 8 10.04.2015 Final year and 3rd year students participated in a workshop on“Automobile Design And Career Guidance” Kumaraguru College of Technology, Coimbatore. Mr. M.Praveen Kumar Achieved “The Student of the Year 2014” award by students ISTE chapter. Mr. V.Shankar Ganesh Achieved “The Best Student Award 2015” by students ISTE chapter. Our students have proven academic results and capable to get university ranks in Anna University examinations. To provide Strong Technical Knowledge for the student members and encourage them to build up their interpersonal skills. The Society of Automotive Engineers (SAE) SSMIET Collegiate Club has been functioning successfully, since 2013 in our college. Presently, the club has around 150 members from various departments. Our Automobile Engineering department conducts various events and activities collaborated with SAEINDIA.Our students were participating in various national level events like BAJA, SUPRA, Go-Kart, Mini Bike competition, etc. organized by SAE INDIA. Our SSMIET COLLEGIATE Club & SAE INDIA organized various levels of workshop training programs, Seminar programs and Industrial visits,etc. All efforts are on now with a single minded purpose to propel the automotive engineering profession by focusing on three trends occurring in the automotive industry today that affect all automotive engineers and engineering societies. The first of these trends is simultaneous engineering the integration of the roles of design engineer, manufacturing engineer, supplier, marketer, and planner. The second trend is the increased reliance of auto manufacturers on suppliers and design houses to support the design and manufacturing functions. The third factor crucial to an internationalized auto industry is standards as communication, as a basis for regulation, and as an aid to interchangeability. They give platform to new start-ups, Innovative ideas and to passionate people, who really want to contribute to society. We set out with an obsession for concept development, one that was unheard in the corridors of green energy development. It was about a commitment to create value through innovation, quality, creativity, partnerships, openness and learning. It has created a road which is leading the world to a new direction laid out by ISIE. We are building our story with a belief in small hybrid and solar for a big future. Our story encourage millions of Indian youths to make drive their dreams. A comradeship had begun. Something incredible had begun. IMPERIAL SOCIETY OF INNOVATIVE ENGINEERS (ISIE) is the most popular and favorite Motorsports, Education and Research Publication organization in India among engineering institutes and green energy research organization. ISIE become epicenter of green energy concept development in India.Our SSMIET ISIE Students Forum started at July 2015. In our SSMIET campus more than 30 students are members in ISIE club from our automobile department. At first time our 2nd year and 3rd year students (TEAM PROPELLERZ) presented their Electric Solar car in the national level event “Electric and Solar Vehicle Championship 2016” and won Best Appreciation awardand cash rewards. Our PROPELLERZ team achieved12th position in national level and 3rd position in state level in the national level eventESVC 2016 conducted by ISIE at Bhopal. Presently the Team Propellerz V2.0 is ready to participate in the national level event “Electric & Solar Vehicle Championship 2k17” at Andhrapradesh. ISNEE aims to impart practical knowledge in students. A thorough professional is one who is both theoretically and practically sound, theory is what is taught in college and practical knowledge is what they acquire by taking part in the design challenges organized by ISNEE. ISNEE (Indian Society of New Era Engineers) is an organization that provides a platform to all the Engineering pursuing candidates to steer their path towards Technical and Managerial expertise. All the research and analysis that goes into the designing and fabrication of vehicles gives unmatched preeminence to the participants as compared to the others. Our SSMIET ISNEE Students Forum started at September 2016.In our campus more than 60 students are members in the Indian Society of New Era Engineers. 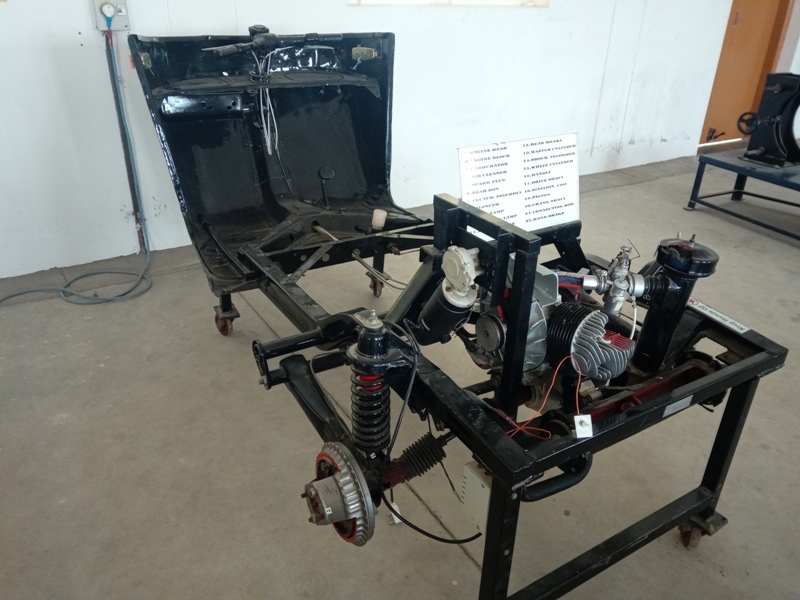 At first time automobile department students are going to participate in the national level “Formula Green Motor Car Championship”. The Faculty and students of our department get an exposure to research activities in IC Engines, Alternative Fuels, Automotive Design, Electric Vehicles, Engine systems, vehicle dynamics and new trends in Automotive Technology. Our department faculty members have involved invarious industrial project consultancies. 2D & 3D Wheel Alignment . Design and Fabrication of Go-Kart, ATV and Mini bikes.